Design Week Portland is just one week away! Mayer/Reed is excited to join our peers in a celebration of our city’s creative contributors. We all play a role in making Portland a place we love to live, work and play. 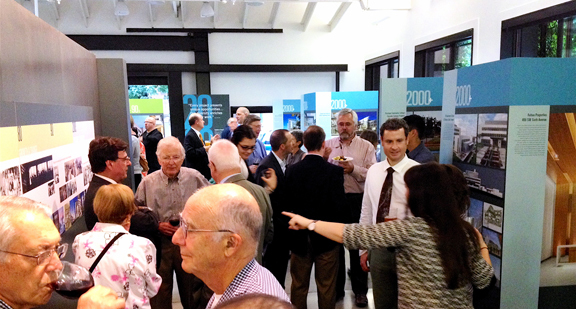 Yost Grube Hall Architecture celebrated 50+ years with an exhibit opening at The Center for Architecture this month. As longtime colleagues and friends, we are honored to be part of this milestone event. Collaborating with YGH, Mayer/Reed orchestrated the design, copywriting and construction of the exhibit, bringing to life rich stories of people, places and projects the firm has touched over the decades. 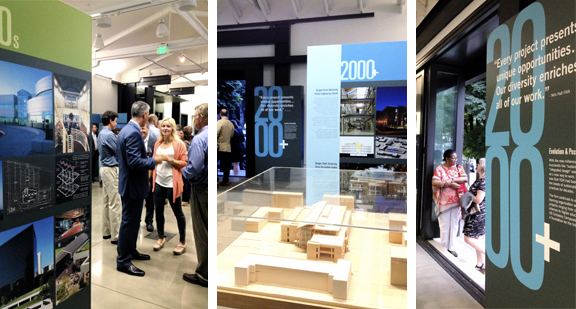 The exhibit runs through Sept 30 at The Center for Architecture, 403 NW 11th Avenue, Portland, OR. 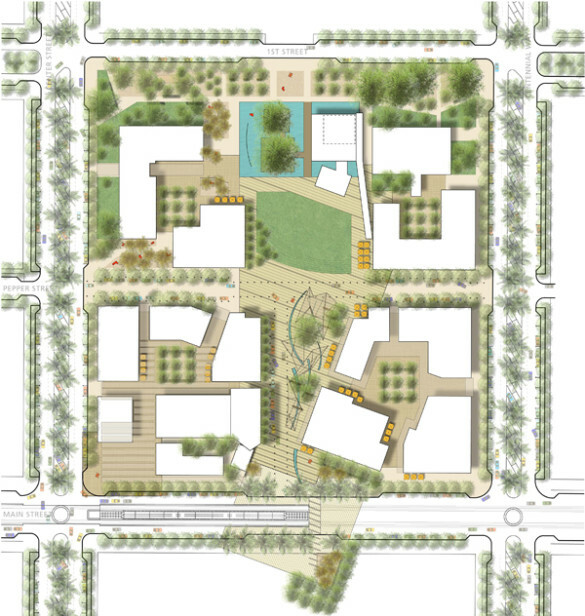 Mayer/Reed joined Team Otak last spring in a competition for the design of the Mesa City Center. This center is key to downtown Mesa, Arizona’s efforts to create a walkable, vibrant live, work, learn, and play environment. As one of the three finalist teams, we recently presented our design for The Living Room Plaza to the City Council and Mesa residents. The plaza will become a dynamic, multi-cultural, educational center of a new arts district in the city, exuding a sense of community and vitality. Check out the competition results and consider lending your support!